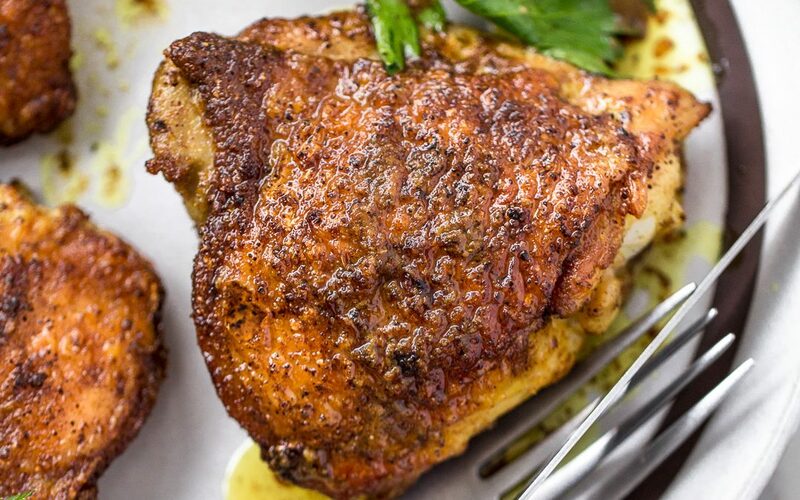 These Pan-Roasted, Shwarma-Spiced Chicken Thighs are quite tasty! 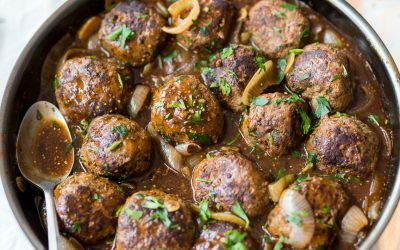 So tasty, in fact, that you may find yourself making them more than twice… a week! 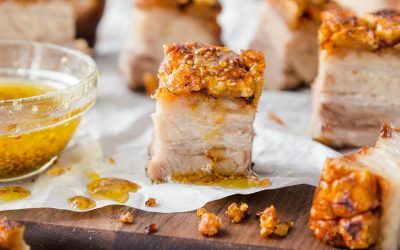 Crispy, Delicious Roast Pork Belly is the ultimate indulgence. Try slicing into bite-size pieces and serving with a Maple-Mustard Vinaigrette at your next Holiday gathering! 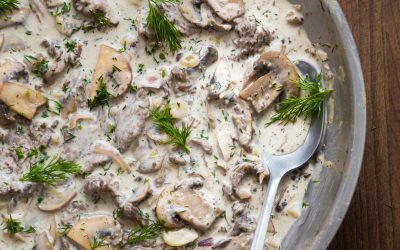 You’ll never believe this Beef Stroganoff is dairy free! 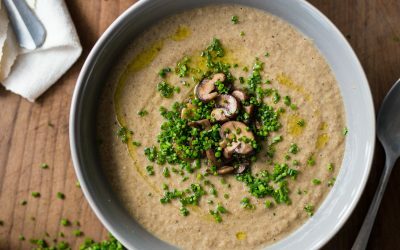 It’s rich, creamy, delicious and comes together in no time at all. Did I mention it’s Whole30? 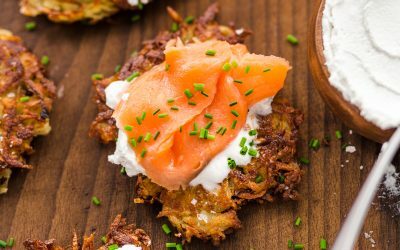 Potato Latkes with ‘Sour Cream’ and Smoked Salmon are the ultimate Hannukah treat. They’re Whole30 compliant but be careful. They’re addictive! 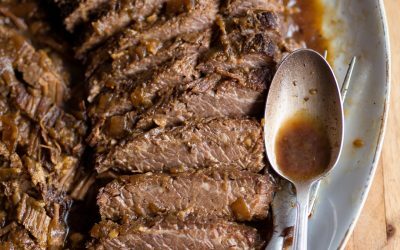 This Whole30 Slow Cooker Brisket and Onions is as easy as 1-2-3. No, seriously! It’s really just a matter of following three easy steps. 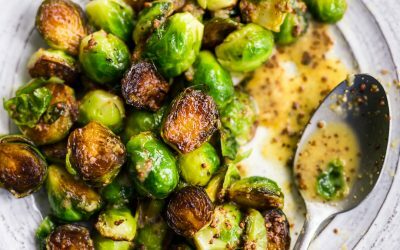 These Pan-Roasted Brussels Sprouts take 10 minutes and are cooked in a single skillet. Try tossing them in my Maple-Mustard Vinaigrette! 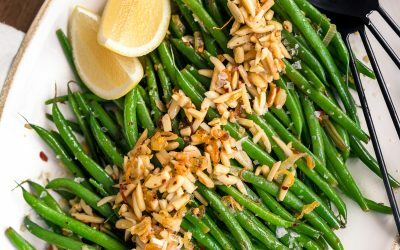 Green Bean Almondine is a classic, French side dish that comes together in just 15 min. 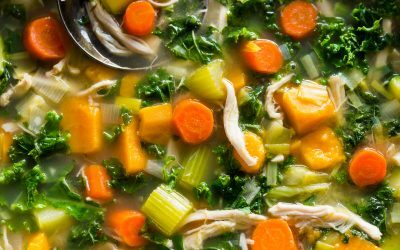 This Whole30 version requires minimum effort & yields max reward. GIVEAWAY! 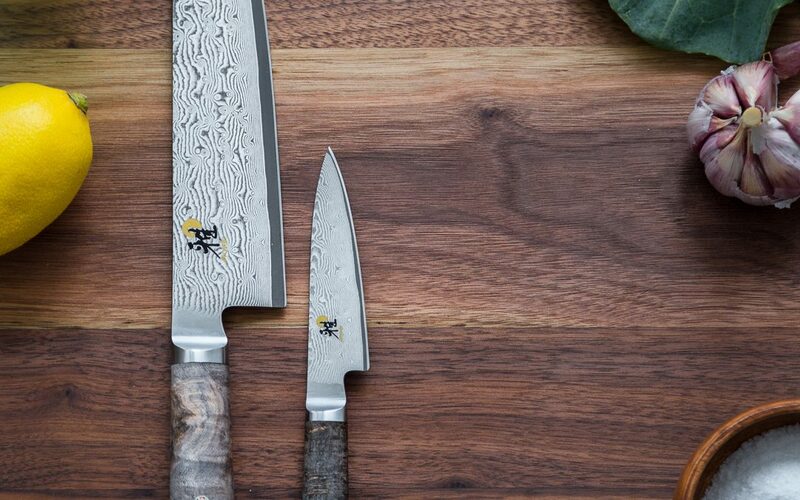 I’ve partnered with Zwilling to give away a Miyabi 5000MCD 67 Black 8″ Gyutoh and a 3.5″ Paring Knife! Enter now for your chance to win!